Actor Aamir Khan shared a new video on Twitter on Thursday, reports ANI. 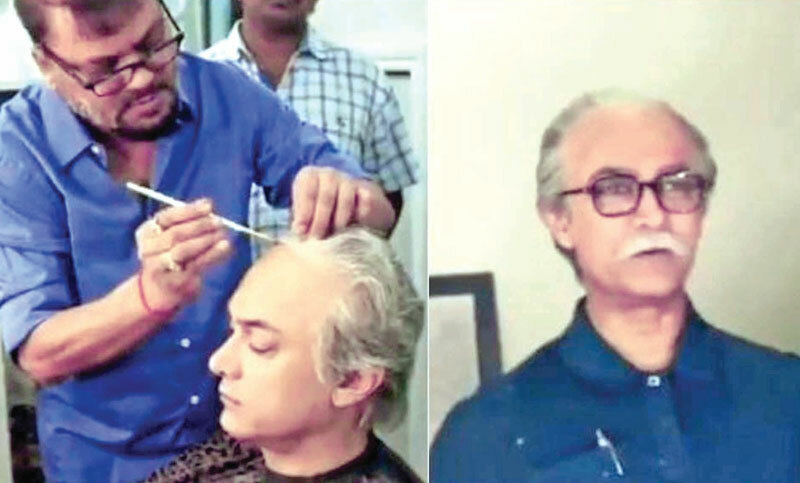 The short clip shows Aamir transform into an old man with the use of a bald cap, some fake facial hair and a wig. While he did not reveal what the video was for, it was later found out to be for an advertisement. Aamir wore wig and a thick paunch on his belly. Several make up artistes surrounded him as he transformed into the new look. “Coming Soon...on your phone...,” Aamir wrote in his tweet. Aamir has often experimented with his looks for different television commercials. He was recently seen in an ad with Pankaj Tripathi, in which he played a Gujrati man. He recently announced his next project, an official remake of Tom Hanks’ Forrest Gump. The film is titled Lal Singh Chaddha and will be directed by Advait Chandan. “My next film is finalised it is called Lal Singh Chaddha. It is being made by Viacom18 Motion Pictures and Aamir Khan Productions together. It will be directed by Advait Chandan. It is an adaptation of Hollywood film Forrest Gump,” he said addressing the media. “We have bought the rights from Paramount and I am playing the lead role of Lal Singh,” Aamir told reporters during his birthday celebrations. Forrest Gump, directed by Robert Zemeckis went on to win six Oscars, including best picture, best director and best actor for Hanks. The film which starred Tom Hanks and Robin Wright was based on Winston Groom’s 1986 novel of the same name. It follows Forrest Gump, a man from Alabama, who witnesses and influences several historical events in 20th century USA.